There are a couple of old sayings in business. One is "cash is king." Another is, "Happiness is a positive cash flow." Surveys are constantly conducted on failed businesses. Most failed businesses, up to 60%, say that all or most of their failure was due to cash flow problems. Making a profit is nice, cash flow is necessary. Cash management is the key to business success. Start-up businesses often find themselves short of cash right off the mark. Existing businesses can find ways to survive if they can find ways to generate cash. 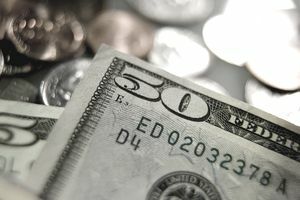 Cash is the single most important element of survival for a small business. Small businesses often say that an inability to control cash is their single biggest problem. Just like an individual or a family, companies need a cash cushion to rely on. This gives them security in unstable times. It also provides an opportunity to take advantage of strategic investments or take advantage of opportunities to reduce costs. Small businesses also have to focus on the concept of free cash flow in order to establish that cash cushion. Duncan Connor talks about how companies used their cash flow to remain successful during the 2007-2009 recession, "It's a simple case of managing how much flows in or out of your business and when. Successful businesses managed their expenses, maximized margins, and built their customer base." "One of the first things that successful businesses did during the recession was to look at their borrowing and renegotiate the terms to something that, while it may be over more years and ultimately more expensive, has lower payments now. Yes, adding more debt is probably a bad idea for most businesses, but if refinancing existing debt allows you to stay in business, there's a definite upside to doing it." "Other businesses negotiated longer periods for making payments to suppliers, while at the same time requiring faster payments from customers." Another way that recession-surviving businesses managed cash flow was to manage how much inventory was being carried at any given time - inventory costs money, and inventory which sits on your stockroom floor for weeks has an opportunity cost which can bankrupt your business." The least desirable expense control is always in human resources, but as orders reduced, many manufacturing businesses laid off staff, instituted freezes or cuts to pay and benefits, reduced investment in hiring and training." Connor concludes, "On the other side of things, the making money flow inside, there were a few tricks, too." "Accounts receivable factoring has appeared on the radars of more small business operators in the last two years, but the highlights are that you sell your invoices for between three and ten percent less than the invoice amount. Now you're asking why any business would do that. The answer is that for most businesses, 90 percent of an invoice now is better than 100 percent of an invoice in ninety days. That's if the customer pays in full. Factoring allowed businesses to get almost all of their invoices paid by a third party and focus on doing business and generating leads rather than chasing payments. The third party chases the customer for payment." "Many sole proprietorships and partnerships cut the amount the owners were paid, and in many cases, the owners injected more of their own cash into the business to continue operating, while others moved their business into more diverse or profitable areas." Cash flow and profit are not the same. Financial accounting is not focused on cash flow. It is focused on net income or profit. Over the long term, profit and cash flow are approximately the same, but the crucial difference is timing. Timing can be so crucial for a small business. For example, when you make a sale to a credit customer, you recognize that sale immediately on your income statement. That's called accrual accounting. However, you don't get the money immediately. On your cash budget and your statement of cash flows, you don't show that credit transaction until you actually receive payment. You can see how the gap between profit and cash flow could be very large. If you have rapid growth in credit sales, for example, profit could far exceed actual cash received. This sort of situation makes smaller companies very vulnerable to running out of cash. You often hear the word liquidity used in combination with cash management. Liquidity is a firm's ability to pay its short-term debt obligations. In other words, if the firm has adequate liquidity, it can pay its current liabilities such as accounts payable. Usually, accounts payable are debts you owe to your suppliers. There are methods you can use to measure your liquidity. Financial ratio analysis will help you determine how liquid your firm is or how successful it will be in meeting its short-term debt obligations. The current ratio will help you determine the ratio of your current assets to your current liabilities. Current assets include cash, accounts receivable, inventory, and occasionally other line items such as marketable securities. You need to have more current assets than current liabilities on your balance sheet at all times. The quick ratio will allow you to determine if you can pay your short-term debt obligations, or current liabilities, without having to sell any inventory. It's important for a business to be able to do this because, if you have to sell inventory to pay bills that means you have to find a buyer for that inventory. Finding a buyer is not always easy or possible. There are various other measures of liquidity that you will want to use to determine your cash position. Focusing on liquidity comes more naturally to a CEO than to an accountant who is trained to practice accrual accounting. When your business is just starting up, you essentially run it out of a checkbook, which is an example of cash accounting. As long as there is cash in the account, your business is solvent. As your business becomes more complex, you will have to adopt more intricate financial accounting. However, you have to keep a focus on liquidity and cash management even though you track net income through financial accounting. Most companies should prepare monthly cash budgets to keep track of their cash. In fact, cash budgets should be done six to twelve months in advance to project cash needs. The cash budget will capture the timing difference between the profit you see on the income statement and the cash that is actually coming into the firm and flowing out of the firm. The purpose of the cash budget is not to set targets for cash but to anticipate needs. If you prepare cash budgets 6 - 12 months in advance and your needs change, then change your cash budgets. Keep them up to date because the cost of running low on cash in a business is high. You should know that from your own personal finances. Prepare your budgets conservatively. Cash budgets can address "what-if" scenarios. You can use them to test different possible future scenarios. You can attach a percentage of probability to the future scenario and test your assumptions. For example, you can change the speed of your collections or the timing of your inventory purchases and see how it affects your cash position. Your goal, as the owner and manager of your company, is to squeeze all the cash out of your balance sheet that you can. Not only do you want to get as much cash out of your company as you can, but you also want to keep it out in case of a potential or actual crisis. Two of your current asset accounts are usually big drains on your cash. They are inventory and accounts receivable. Inventory is the products you sell and accounts receivable are your credit accounts or those accounts that represent the credit you extend to customers. The balances in both accounts need to be converted to cash as soon as possible. You can use financial ratio analysis to check out your position regarding inventory and accounts receivables. Inventory turnover ratios can tell you if your inventory is obsolete, or if you are selling so fast you are stocking out. Accounts receivable ratios, such as day's sales outstanding, can tell you how fast your credit customers are cleaning up their accounts. Once you determine the position of your inventory and receivables, you can take the appropriate actions to adjust and have more cash coming into your firm. Another way to get more cash into your business regarding your credit customers and accounts receivables is using a lockbox system to collect payments. If you have payments wired or mailed to a lockbox, those payments get into your account faster. Your bank can then sweep funds into an interest-bearing account. Another short-term strategy to squeeze money out of your balance sheet is to look at the current liabilities on your balance sheet. Focus on your accounts payable. They are what you owe your suppliers. Pay your accounts payable on the day they are due, not early. There is no reason to give your suppliers your cash days before the bill is due. Your business needs to have use of that cash. Stretch out the use of your funds. The bottom line to good cash management is that, in a crisis, typical financial statements become irrelevant and all that is important is surviving from a cash point of view. In a cash crisis, such as a recession, a business owner's focus becomes, by necessity, very short-term. Often, a cash crisis will instill good cash management practices in business managers that carry over from that day forward. Managers have to understand how to prepare a monthly cash budget. Next, they must understand the sources and uses of cash like those on the Statement of Cash Flows, one of three required financial statements. The feedback you get from these financial statements is invaluable. Starting with inventory and accounts receivable, if managers can maximize their cash flow, they can almost always avoid running out of operating cash and exposing themselves to cash flow problems.